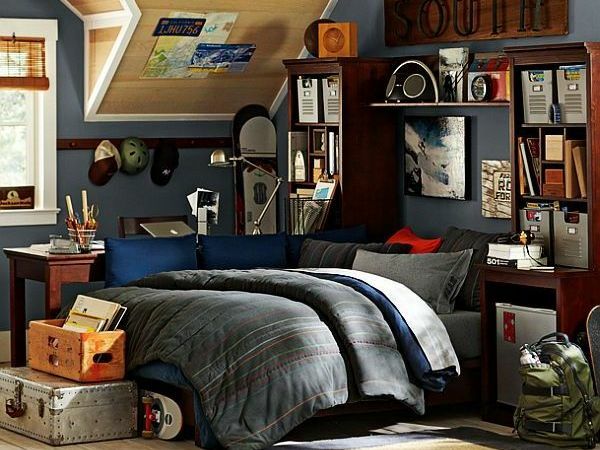 After coming up with rooms for teenage girls, it’s now time to give you ideas and inspiration for setting up the room for a teenage boy. 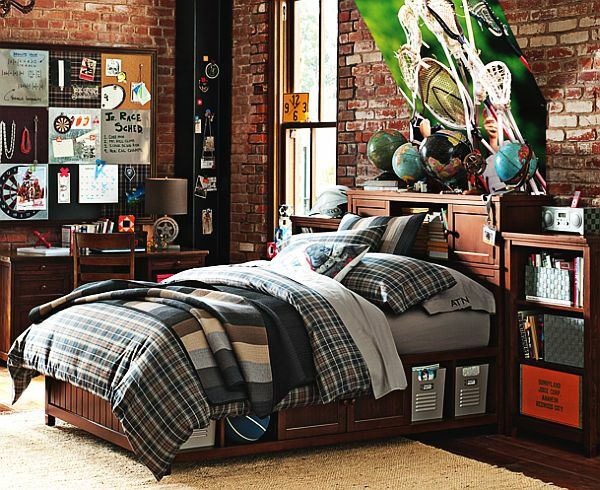 Because boys are just as picky as girls, they need a dream place that is not just meant for sleeping. It’s his own place where mess is welcome so the whole room needs to be inviting (friends will come over), neat and tidy, yet manly enough at the same time. 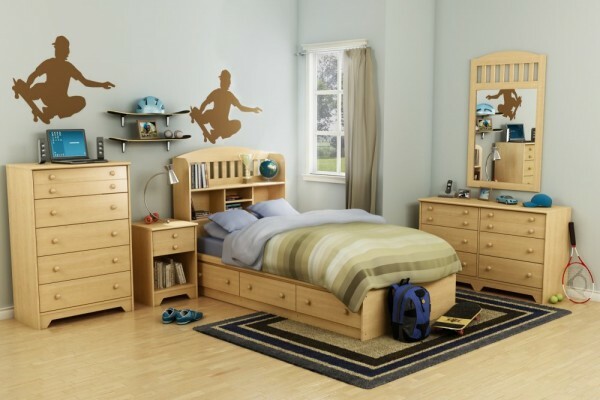 More to it, your son’s room will need to have some of those “guys” elements, like a big plane, a cool car, sports stuff, or maybe something gaming related? 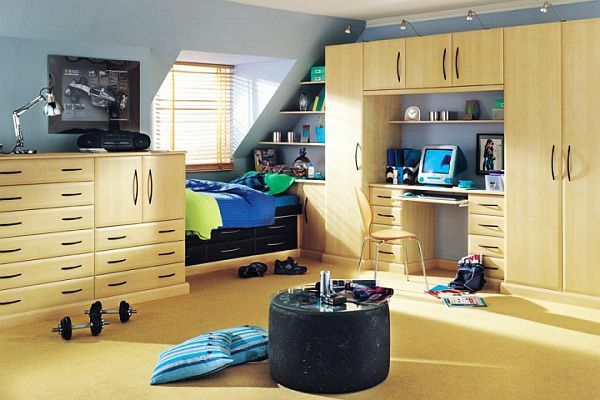 Check out our ideas for teenage boys rooms, below. You’re trying to have a responsible kid. Right? 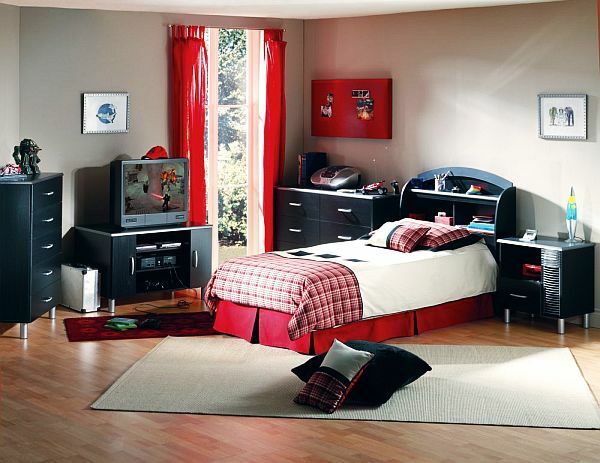 Therefore having an organized bedroom for your little boy is a good start. This one has loads of storage space (all those drawers help hiding the mess, for sure) and a modern furniture with a single bed. 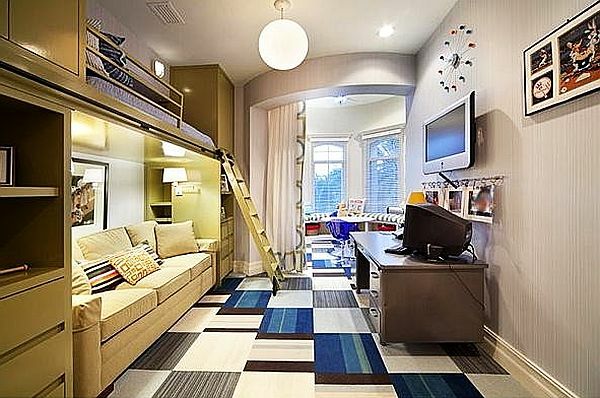 Not sure about the window and the fact that the sun will wake the guy up early in the morning, but it looks tidy. 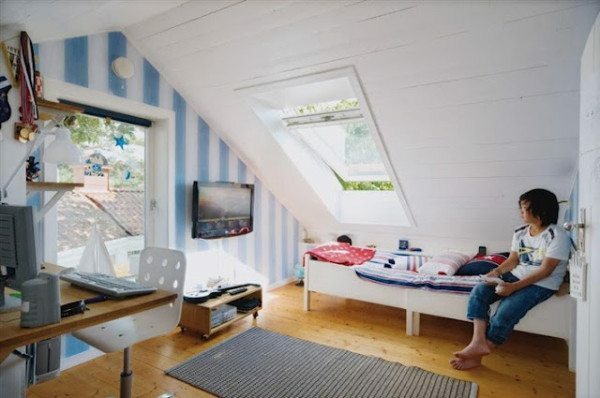 Have some space in the attic and you think it might be the right place for a new bedroom for you child? Absolutely right. This should prove quite inspirational. Love the white paint job. Maybe add some mirrors to make the whole bedroom seem bigger? 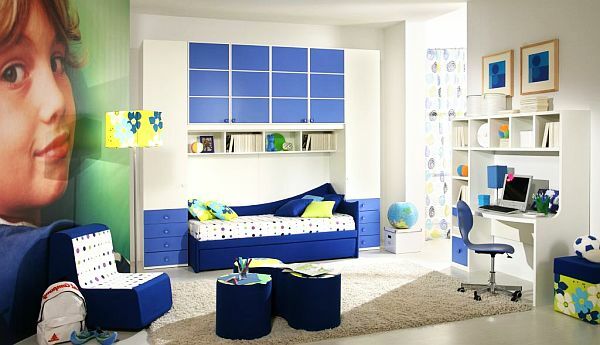 Navy blue, black and white, grey, or brown, that’s what people usually use when decorating their teenagers’ room. 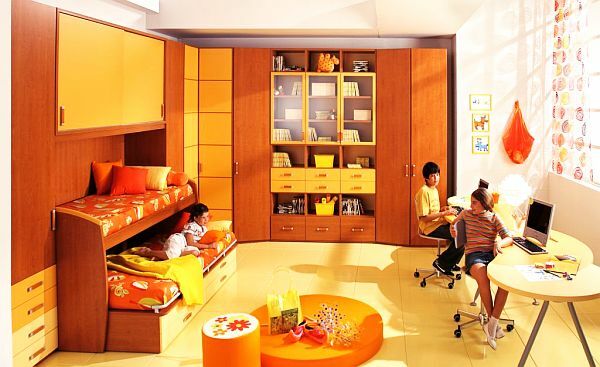 Here’s an example that an orange bedroom could be just as fit. And one with a yellow-green theme? Contrast. 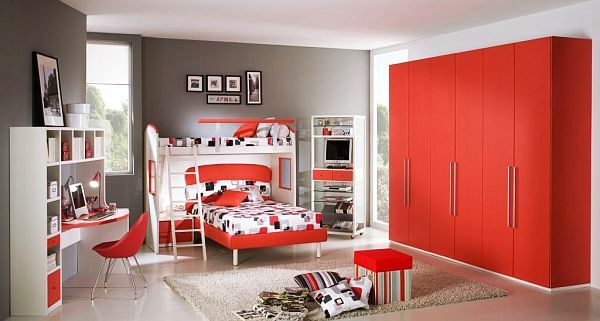 This bedrooms is all about the amazing contrast — the red curtains and the bed, along with the black furniture pieces. Totally sold on this one. 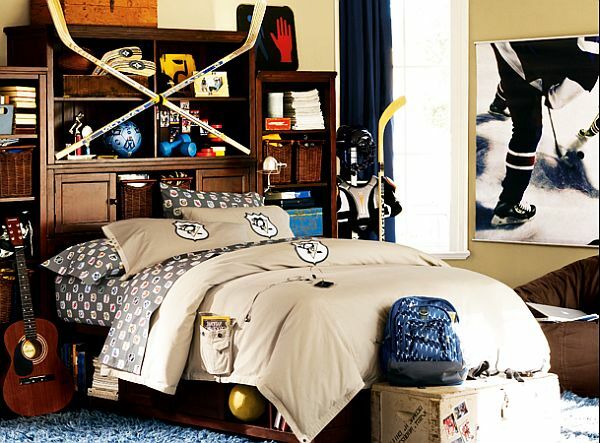 Your little guy is passionate by all sorts of sports? You’re a lucky parent considering the amount of time they spend in front of their computers, these days. 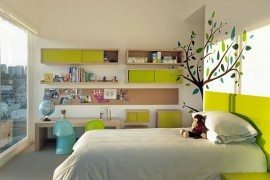 Then how about this idea for a bedroom? The shelves made from skateboards are quite creative. Don’t you think? 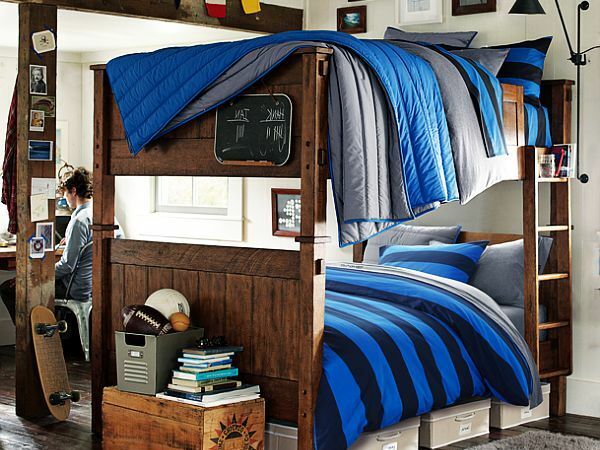 Giessegi is an Italian furniture company that has a handful of ideas for your teenage son. They like using bright colors and put a big accent on functionality, not just looks. Last but not least, here are (next images until the end of the story) some ideas from PBTeen. They have some amazing setups that I’m sure you’ll love. 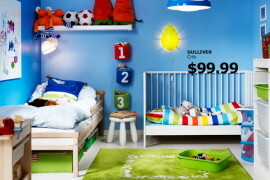 But I reckon, they’re not as cheap as we’d like — it’s a good inspiration for some custom built furniture, though.